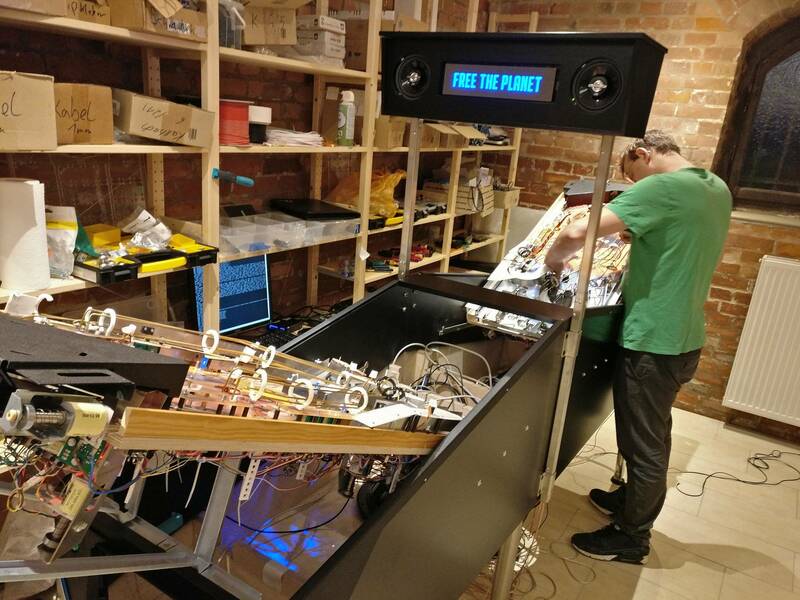 A while ago, we started to build a custom head2head pinball machine. Both playfields are standard size with identical layout and slightly different artwork. 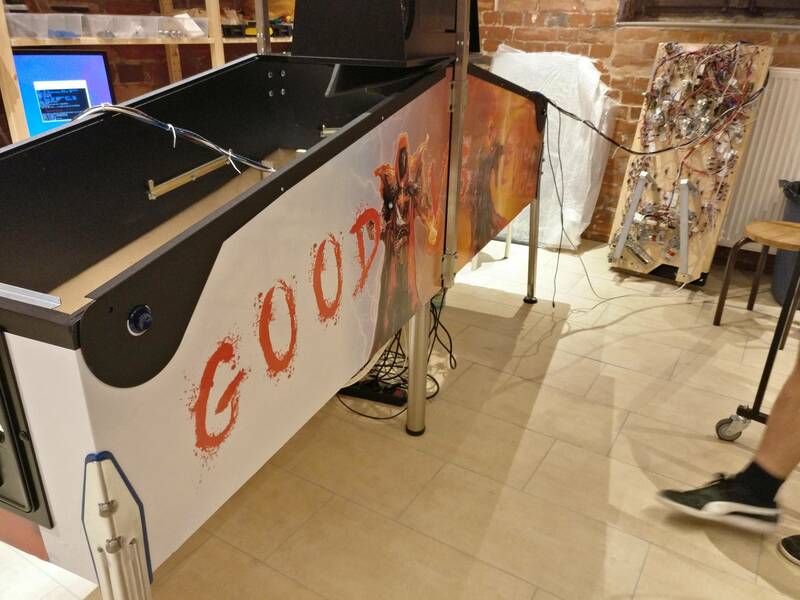 Everything is playable and we will bring it to the Dutch Pinball Open in November. Some pictures are attached. Awesome! How do you even transport that behemoth!? Looks like you need to clear the playfield too?? 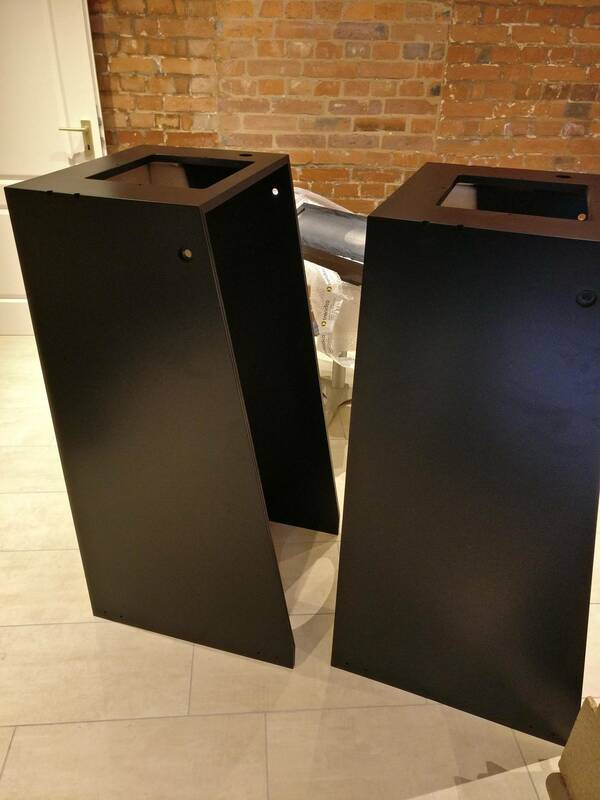 You can separate the cabinets in the middle and transport them like two separate machines. Backbox can obviously also be disassembled. 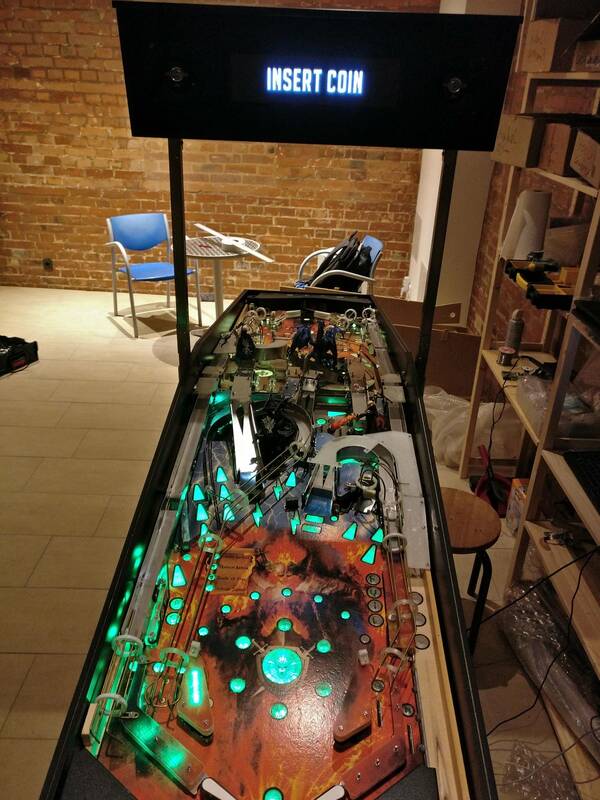 The playfield is still a prototype. Micro did the wood and the inserts. We just put a vinyl sticker on top. For the final version we will ask mirco to redo the playfield and then print and clear it. There will be a few (like 20) minor changes but nothing notable to the player. We applied the sticker in this version because printing on wood and coating are by far the most expensive steps while producing playfields. Music and sfx turned down because we couldn't hear them after too many test games. One of the LED strips on the good side needs a fix. In general everything is working fine. So what are the general goals of the game? The general goal is to keep your lifes or better to make your opponent loose all his lives. You can loose lifes by draining balls (even in multiball). To win you can shoot balls over to the other side to make it harder for your opponent not to drain. Today we noticed that the jam switch on the evil side went flanky. That caused some wrong ball counts. Disabled it for now. Let's hope that the trough will not jam too often. 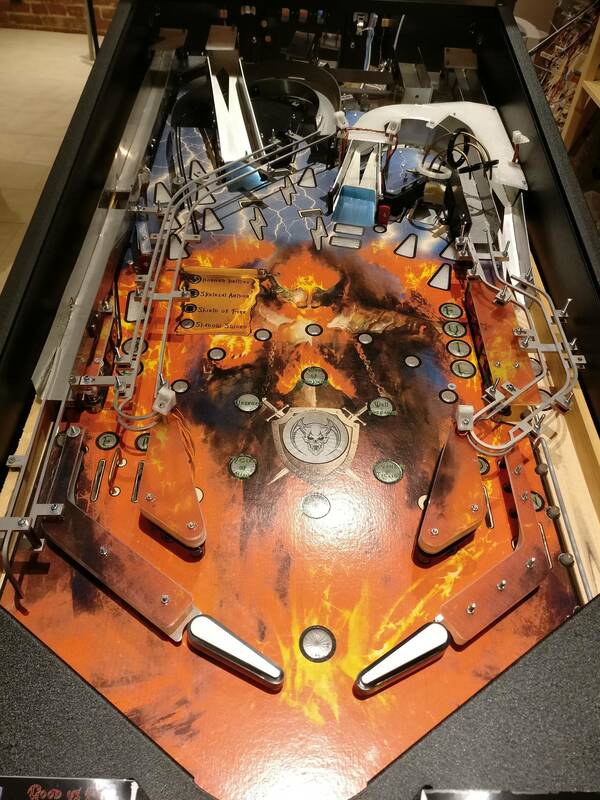 VS Pinball is a fantastic idea, congratulations on bringing this project to life ! I really like how you can send more balls to the opponent and get him to drain, it's the type of gameplay that reminds me of battle tetris where stacking some lines on one side sends some random bricks on the other side. I still dont get why there are balls in that left metal "ramp" dropping into the outlane and draining, even during attract mode. Hard to tell what is going on, looks REALLY fun though! chitownpinball the machine needs to balance balls between the two troughs somehow. That's why some balls are shor to the outlane of the other side. Those do not count as drained balls. They are just ball balancing. Awesome stuff! Was wondering about the possibility of the balls all ending up on one side, guess that answers it. How many balls do you have in there? Usually 12-14 balls (both throughs support up to 7 balls). Per side, you can lock up to three balls and one will stay in the feeder for most of the time. I will try to give your some more information, what we are doing on this machine in the future. 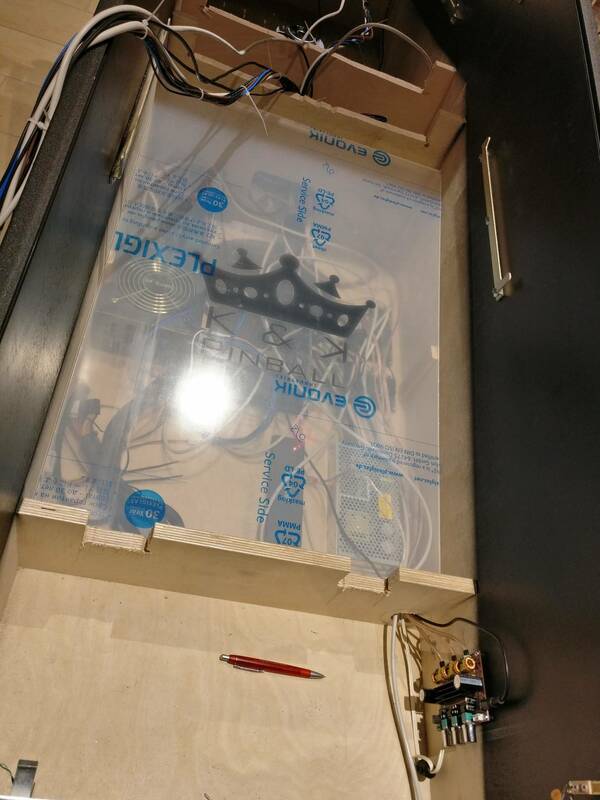 We changed also some cables in the cabinet and connected the lights of the start button. 2. Print it on paper to see if it fits. I guess it look pretty nice, because it is so clear that you nearly don't recognize it.